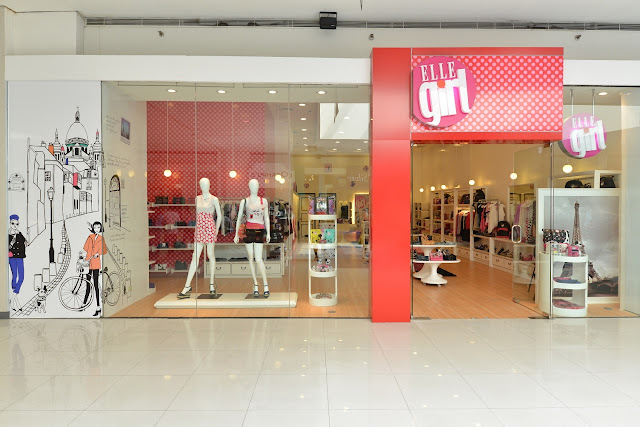 Say “Bonjour!” to fashion’s newest darling, Elle Girl, a Paris-inspired brand that brings current styles from the City of Light straight to the young Filipina. The line features latest trends such as mullet tops, body-con dresses, and numerous casual staples festooned with fun, funky prints. Stylistas can also select from the brand’s accompanying collection of shoes, bags, and accessories to complement their attire. Before Elle Girl, there was Elle magazine, a publication dedicated to providing eager fashion-philes with the most recent developments in the world of runways and red carpets. What started as a resource for clothing inspiration eventually branched out into diverse retail ventures, beginning with a widely popular apparel line for women. This earlier success inspired the thinkers behind the publication to come up with something that caters to the younger market. 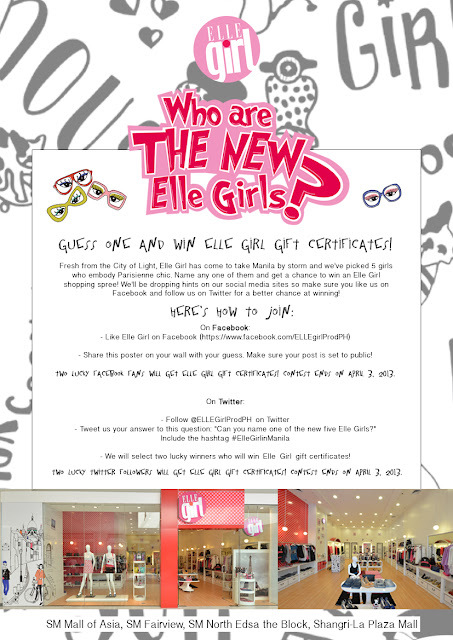 Elle Girl emerged as a way for young women on the verge of self-discovery to find a niche for themselves, outfit-wise. Gals can select from an assortment of possibilities to effortlessly create the image they want, whether classic and romantic or edgy and rock-and-roll. The Spring/Summer ’13 collection emphasizes different trend aspects for budding purveyors of chic to explore. Jardin plays on the fresh appeal of hot house florals with full-skirted frocks and breezy tops, while Tropical turns up the heat with palm-tree printed t-shirts and bold pops of orange, yellow, and red. Finally, Rock Academy takes on an edgier bent with dark hues, sleek cuts, and subtle faux leather piping on slinky dresses. 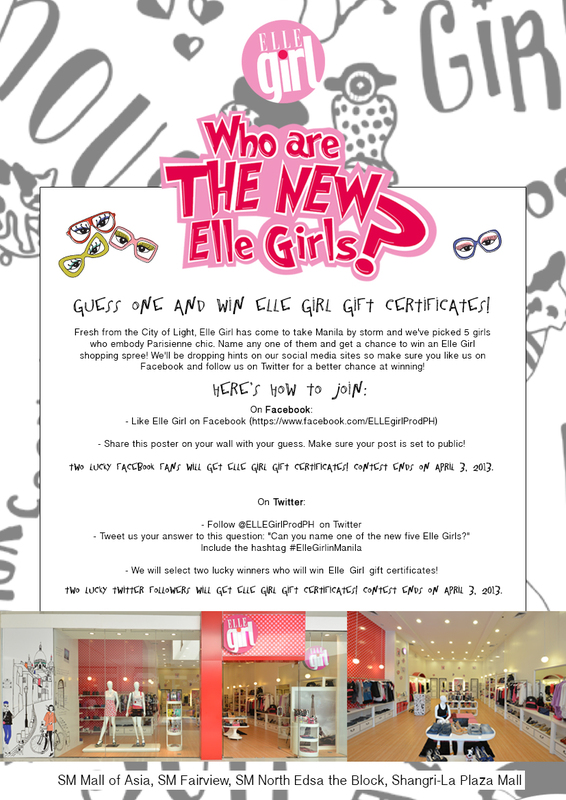 Design enthusiasts can check these out and more at Elle Girl boutiques located at SM Fairview and Mall of Asia.